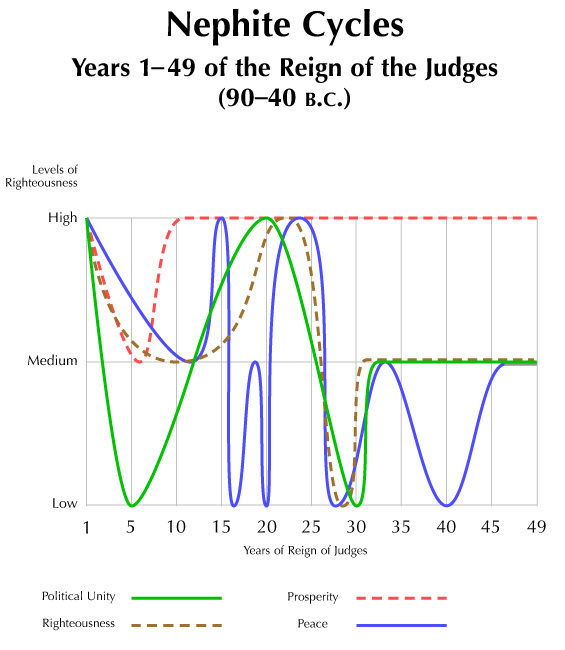 Based on information gleaned from Alma 1 to Helaman 3, this chart plots the general trends of prosperity, political unity, righteousness, and peace of the Nephite people. Notable here is the relative prosperity and contrasting wickedness of the people, as well as the fluctuations in peace and political unity. Each trend moves somewhat idiosyncratically, which is what one would expect of authentic politico-historical experience.